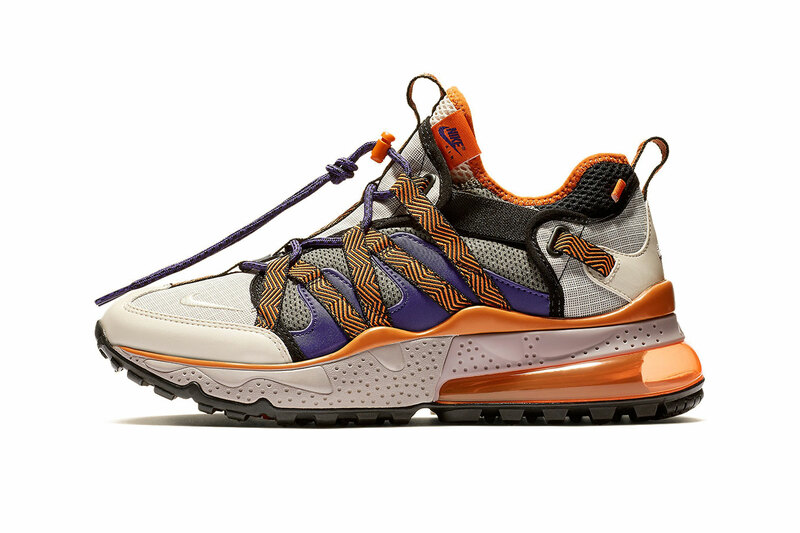 After delivering a “University Red/Light Citron” colorway, Nike recently put together a retro ACG-inspired take on its emerging trail-ready Air Max 270 Bowfin model. This time around the ripstop, mesh and nylon upper expresses a familiar mix of tan, orange and purple accented by choice hits of black. Trail styling on the upper comes in the form of the toggle lacing system that continues the ACG-esque colors. Finishing up the design of the shoe is a sculpted tan midsole, orange Air Max 270 heel unit and a rugged, high-traction black rubber outsole. Priced at $160 USD, the retro ACG-inspired Air Max 270 Bowfin is expected to release in the near future at select retailers and nike.com. For more Nike, check out the Miami Vice-inspired Air Max Plus 97 colorway. Will Sora meet Christopher Robin? One of Air Canada’s most cherished sneakers. Tapping into the big logo trend.